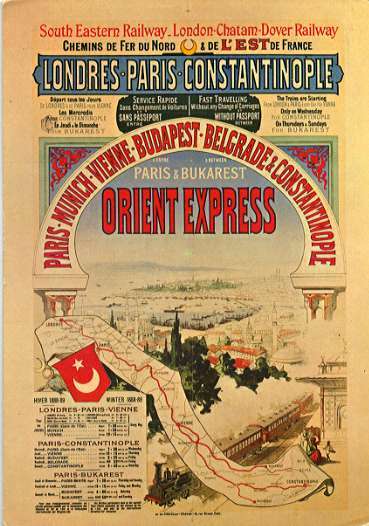 Today almost 130 years ago, the Orient Express made its first trip and left Paris for Vienna (June 5, 1883). It ran until 2009. All we know about it is from the Agatha Christie novel “Murder on the Orient Express” but must have been so nice travelling this way! For a taste of it, check the Chanel No 5 clip below. It has a charming Orient Express feel (was filmed in Nice and Istanbul). You see Audrey Tautou (Amélie in the acclaimed French movie “The Fabulous Destiny of Amélie Poulain“) travelling by train — oh, so elegantly — with Billie Holiday sings “I’m a fool to Want You”. Enjoy!